The 2016 GMC Savana in Scottsdale has arrived and is ready to show off new technological features and incredible capability. Whether you are looking for an elite people mover with extra capacity or a cargo carrier that can meet your commercial needs, the Savana is a premium option in the full-size van class. It's equipped with all of the features you could want and the hardworking utility you need to get your jobs done. Want to learn more? 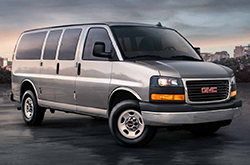 Check out our full 2016 GMC Savana review to learn about specific features and the overall value of GMC's premier van lineup. Taking a closer look at the Savana Passenger van, you'll see that the 2500 and 3500 models both provide ample space for up to 15 occupants. A major bonus in this year's model, a built-in 4G LTE Wi-Fi hotspot comes standard in the 2016 Savana so that you and passengers can stay connected on the go. While 2016 GMC Savana reviews especially admire the Internet connectivity, we also think you'll love the available Color Touch radio with GMC Intellilink, standard OnStar with Turn-by-Turn navigation, premium air conditioning and the available remote vehicle starter system. 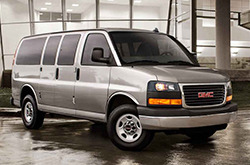 Another elite model, the 2016 GMC Savana Cargo makes working on the road easier than ever. Along with a standard built-in Wi-Fi hotspot, the cargo van enters the market with six new D-ring tie downs, a towing capacity of up to 10,000 pounds and an enhanced interior lighting system, making it a premium choice when it comes to getting the job done. 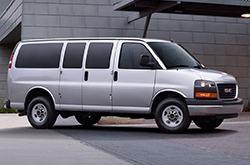 Both the cargo and passenger versions of the van utilize a standard 4.8L V8 engine rated at 285 horsepower and 295 lb-ft of torque. For shoppers looking for extra power, a 6.0L engine rated at 342 horsepower and 373 lb-ft of torque is available in addition to the incredibly capable 6.6L Duramax diesel engine that delivers 260 horsepower and 525 lb-ft of torque. Plus, with the StabiliTrak electronic stability control system, anti-lock brakes and new standard airbags, Savana offers a smooth and safe ride for all. If you're looking for a 2016 GMC Savana Cargo or Passenger van in the Phoenix metro area, head to Van Buick GMC to explore inventory! Dependable, powerful and exceptionally capable, Savana is ready to get to work! The 2016 Mercedes Benz Sprinter, Ford E Series and Nissan NV are beat out by the 2016 Savana in quite a few areas. Shoppers will be thankful for the Savana's bargain cost, as well as its exquisite styling. Many drivers in Scottsdale choose it because it's a remarkable value; compare its price to the vehicles in its class to see for yourself. Find out more - Take a peek at the bullets below this paragraph! 2016 GMC Savana Colors: Summit White, Emerald Green Metallic, Wheatland Yellow, Bronze Alloy Metallic, etc. Thank you for reading our complete 2016 Savana review, written by Van Buick GMC's professional authors. Good reviews are hard to find; but as the leading GMC franchise in Scottsdale we've put it all in one location for you. Every passage comes packed with helpful data, specs and research - just what you need to make wise decisions about your next GMC purchase. Find out more about Van Buick GMC's highly-rated lineup! 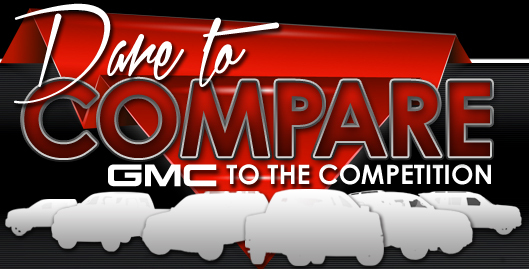 Review and compare GMC's other vehicles in our digital research library now!